While conducting your research on studying abroad, you will often come across the names of various ‘Agents’ and ‘Consultants’ that can be contacted for assistance and guidance during the application procedure. But who are these Agents and Consultants? What do they do? Is there a difference between the two of them? Find out below. ‘Agents’ or ‘Overseas Representatives’ are professionals who are responsible for guiding international students through the application process of a particular foreign university. Their basic purpose is to simplify the application process for students. They help students decide which universities to apply to and advise them on how they should go about the application process. Agents do not charge a fee from their students and are paid by the university upon a successful admission. A single Agent normally works with multiple universities. It is not rare for Agents to objectively help students during the application process. You can expect your Agent to help you fill the application form and guide you regarding the arranging of documents and preparation of your Personal Essays, Reference Letters etc. 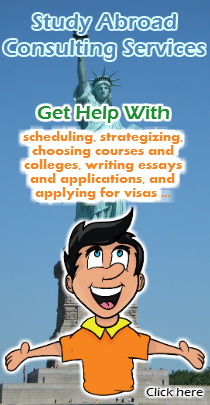 Most Agents also help students apply for visas in case they receive an admission offer. Educational ‘Consultants’ are professionals who are responsible for advising and directing students who wish to study abroad. Even though their basic purpose is the same as an Agent’s i.e. to simplify the application process, their work profile is slightly broader as compared to an Agent’s. Consultants assess the needs and desires of the student and compare them with his/her current strengths and weaknesses. On the basis of this comparison, they help students decide on the universities they should apply to (keeping in mind the universities that are likely to accept them). They charge a fee from the student and are not paid by the university. Consultants also guide students during the application process and help them fill forms, arrange documents, prepare personal essays etc. Some Consultants also help students during the visa application process. Is there a difference between Agents and Consultants? Even though the tasks performed by Agents and Consultants overlap, there is a major difference between the two in terms of their approach. Agents are paid a commission by universities for each student that gets enrolled in the university through them. The result of this is that Agents often do not recommend universities to students that do not pay them a commission. It is very possible that an Agent pushes you to join a university that might not be ideal for you, only because they are paid by that university. On the other hand, Consultants charge a fee from the student for their services and are not paid by any university. As a result of this, Consultants tend to provide more honest and unbiased recommendations of universities and programs to students as they are not dependent on any particular university for their professional existence. The main objective of an Agent is to fill a seat at a particular university by convincing a student to join that university whereas the main objective of a Consultant is to ensure client satisfaction by suggesting what is best for the student. When to apply through an Agent? Choosing a Consultant over an Agent is not always the correct option. Which option suits you more depends on your personal situation and academic standing. Generally, you should apply through an Agent if your main objective is to go abroad and if you’re not too selective about your choice of university. For example, if you’re a student with an average academic record who wants to study abroad and if you’re not sure that you’ll manage to secure a seat at a foreign university, visiting an Agent can be a good option. As Agents have tie – ups with various universities, they will be able to easily guide you as to which universities are likely to accept you on the basis of your marks. They will give you an idea about how you can improve your application, as they know what their universities generally want to see in an applicant. 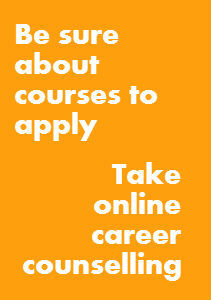 Not only that, but they will also look after the application process, from start to finish. However, it is important that you consult 3 – 5 Agents and weigh the different options they recommend. Make a final decision only after you have conducted your own research on the universities that have been recommended to you by different Agents. Visiting an Agent of a university can also be a good option if you’re very sure about your choice of institution as they know what that university is likely to want in an applicant. Visit the university’s website to see a list of its Agents or ‘Overseas Representatives’ in India. When to apply through a Consultant? Applying through a Consultant is an ideal option if your grades are good and if you want to study abroad at one of the top universities but are not sure if you’ll manage to get in. In such situations, Consultants can help you apply to the universities you are likely to get in, provided they meet suit your personality and program choice. As a lot of top universities around the world do not have Agents, it is ideal that you go through a Consultant for such universities. Consultants will use their previous experiences of overlooking applications to assess whether you stand a genuine chance of getting in, and will also suggest other options if need be. Check out the CareerLever study abroad services: work with a Study Abroad Consultant.